A gem is for a lifetime and a prize for the most precious person in your life. These colorful natures’ phenomenon wonders can be pieces of art close to your heart, which you can feel the positive aura of protection of a masterpiece that took millions of years for the creation. 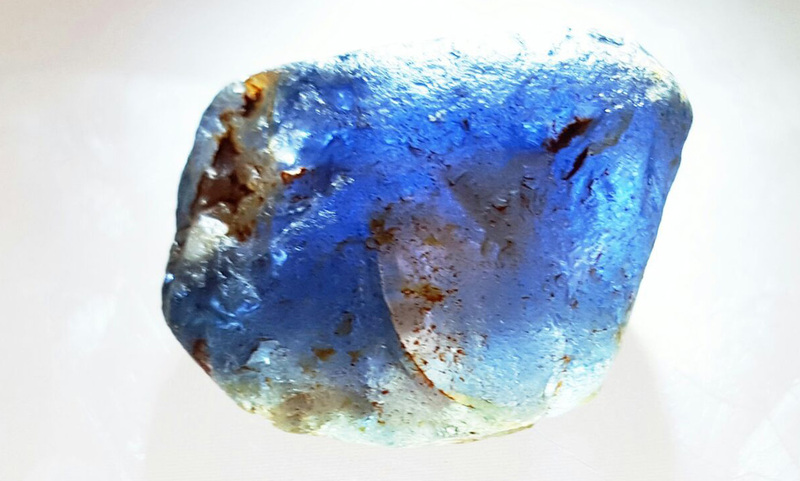 Inviting you to feel, experience and to own one of the world`s finest and classy Sapphires, Birthstones mined in Sri Lanka. As an extended service from Pearl Lanka we are gladly offering you special service if you are visiting to Sri Lanka for the sole purpose of owning, purchasing world class Sapphires. Why You Would Choose Our Service? For Whom Gem Tour or Sri Lankan Sapphire Tour is for? What Kind of Service You Will Get from Us? National Gem and Jewelry Authority is where Gem and Jewelry dealers get approval. Buy from a Gem dealer with government approved valid license holding. It is quite a surprise how valuable stones as gems are extracted from earth as just another stone. Nevertheless, the earth possesses over 4000 naturally occurred minerals that possess inorganic solids and characteristics of chemical crystals. Simple molecules form these minerals and when molten rock cools down and separates from mineral rich water, it is then understood as a typical mineral formation. These minerals form beautiful crystals and out of them are gems which are considered as the costliest. At first, these gemstones which are uncut and processed often look alike as rocks. The price tag can only be hanged to these gems when they are cut and polished and glow in brilliance and lustre. These gems are historically divided in to Precious and Semiprecious classes. The precious class of gems are composed of different materials with higher standards than the semiprecious that highlights their beauty thus adding more value. Diamonds, Rubies, Sapphires and Emeralds continue to fall in to this class. Diamonds – These gems are formed from Carbon atoms and considered as a very rare natural substance on earth. To successful formation of Diamonds, extreme underground high pressure is mandatory. Rubies and Sapphires – These gems are formed of a mineral named Corundum which comprise of aluminium oxide. Emeralds – These type of gems are a formation of mineral Beryl and is mixture of beryllium, aluminium, Silicon and Oxygen. Precious gems are formed of the rarest natural substances to find thus explain its value. Most countries in the world produce various Gemstones but majority offer semiprecious gems leaving the rest of the countries in demand for precious gems thus being ranked top for their unique productions. Russia, Botswana, Democratic Republic of Congo, Australia, Canada, Sri Lanka, Zimbabwe, Angola, South Africa, Namibia and Sierra Leone. 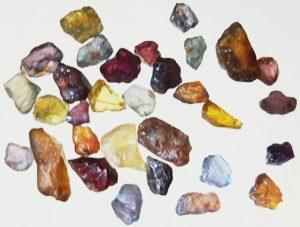 Above are some of the many gem producing countries. 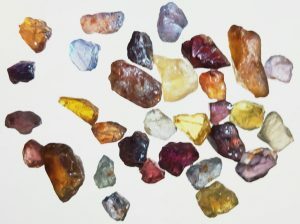 Exposed for bearing a competitive range of gemstones; Sri Lanka is matched with great gem producing nations as Russia, South Africa, Myanmar, Brazil and Thailand. Sri Lankan gem bearing gravels are known to be the richest in the world. 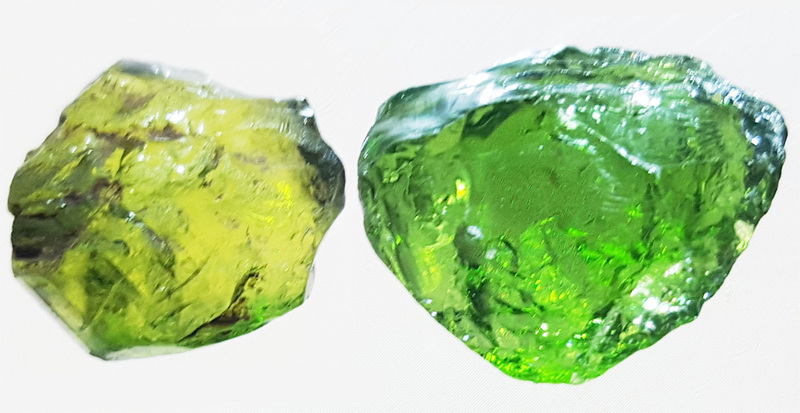 The experience of Sri Lankan gem production is heavily influenced by tradition and modernization which has resulted in a harmonious and fascinating mine to market industry both domestically and internationally (exports). 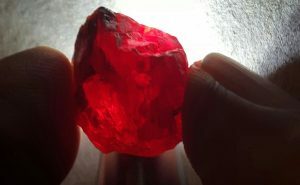 The growing demand of the global market for Sri Lankan gemstones is a result of a time honoured and thorough practice of traditional experiences and modern high powered techniques repetitively leading to well-balanced proportions and quality cut polish of the end product. The knowledge and experiences derived over centuries are utilized by the trading sector to match with the modern global business which ultimately produce latest fashions, trends and models. 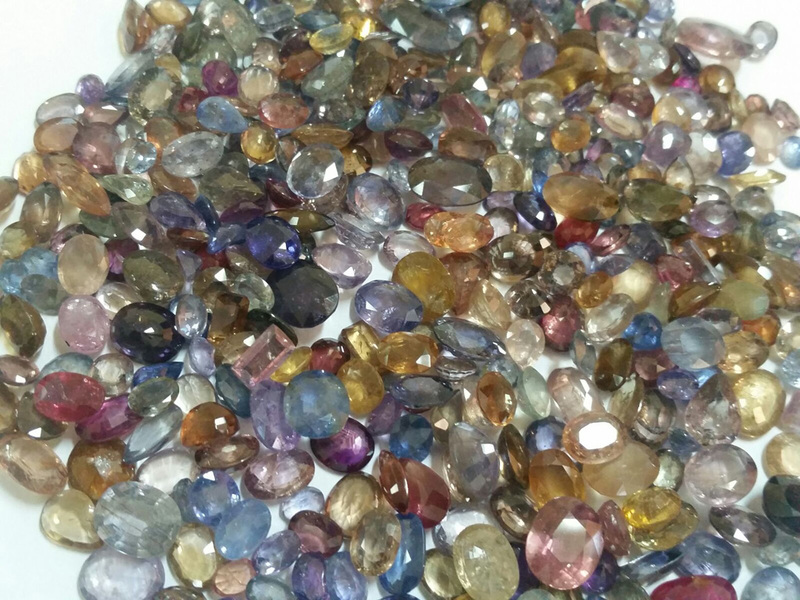 Thus, Sri Lanka stands as a proud gem seller and has become a priority option for many buyers in the gem field. 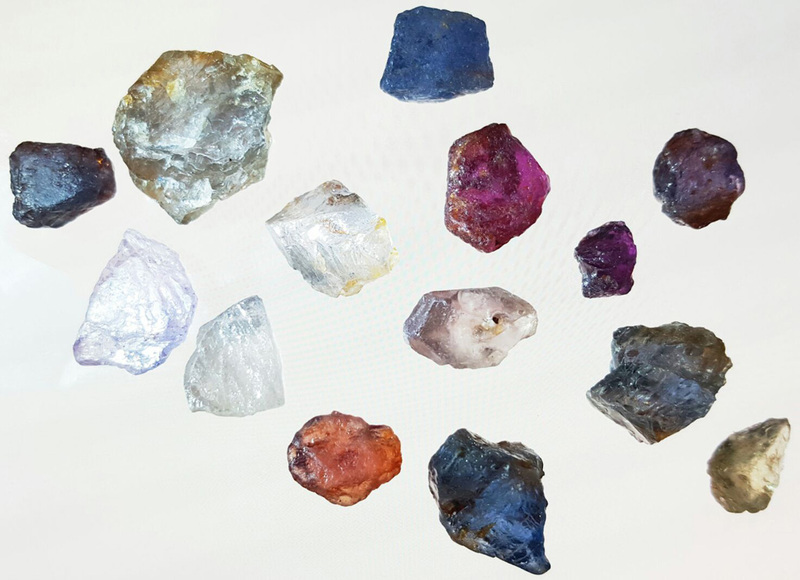 Around 200 minerals are classified as gemstones in the world out of which around 75 gem varieties are to be found in gem deposits of Sri Lanka. Throughout the past, Sri Lanka has been well known for its variety of gemstones available on the little Island. The name “Rathna Deepa” (Island of gemstones) from which Sri Lanka was/is known proves to be very accurate. Sinhalite, Kornerupine, Andalucite, Apatite, Scapolite, Cordierite, Diopside, Enstatite and Taaffeite. 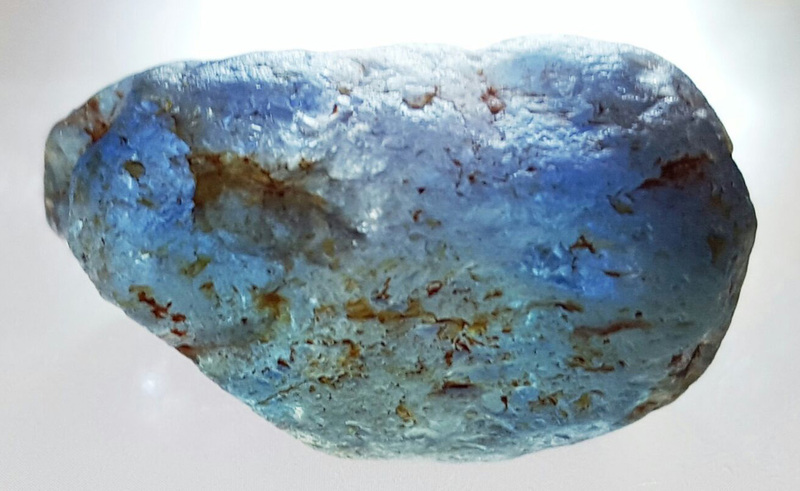 Of the entire landmass of Sri Lanka, 25% is considered as gem bearing and are located in restrictive zones of highland/southwestern rocky zone. 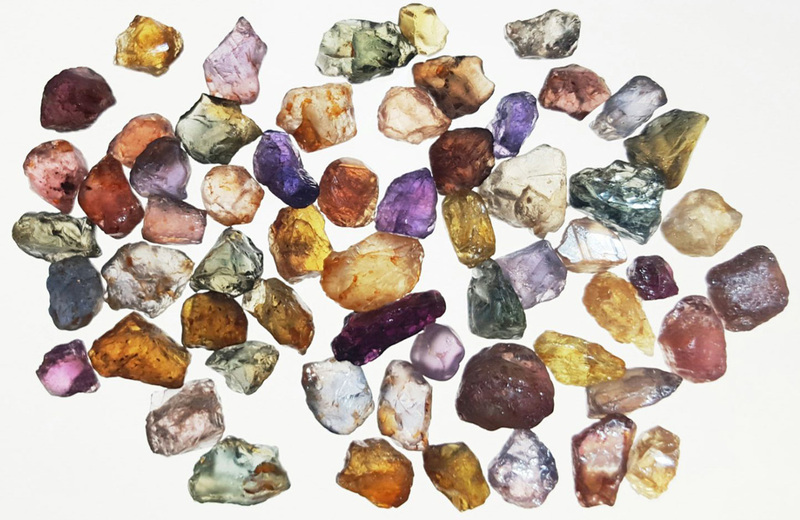 Secondary placer deposits are the 90% of gem mining sources accessed in Sri Lanka and are classified as Sedimentary gem deposits of residual, eluvial and alluvial. Metamorphic zones with skarn and calcium rich rocks are where the primary gem occurrences are mainly in contact. Sedimentary gem deposits are by far the most important of all gem deposits in Sri Lanka. These type of gem deposits occur in thin layers of sand and gravel on hillsides, hilltops and river beds. Residual deposits: This type of deposits is in the close vicinity as on the flood plains of rivers. Eluvial deposits: This type of deposits ismade identification difficult as they are found on hillslopes and flat areas. Alluvial deposits: This type of deposits is the most common type distributed in Sri Lanka. These gems are well rounded grains and easily identified and also lies in two or three layers under a ground depth of 20 meters. 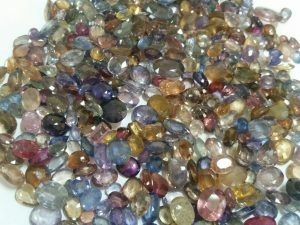 It’s a well-known fact that most of Sri Lanka comprise of metamorphic rocks and thus most gem deposits in Sri Lanka are under this category. The areas which these deposits are located are abundant in skarn and calcium rich rocks. The skarn deposits in Sri Lanka are reported to have pure CO2 and thus the value. The chemical composition required to form aluminous gem minerals are abundance in deposits and most of the yielding’s are in highland complex. As old as the civilization of Sri Lanka, the gem industry ages! Decades and centuries of time had passed leaving these beautiful stones unnoticed. It was not for very long that these beautiful stones went unnoticed. The colourful gem history of Sri Lanka has been capable of changing “Ceylon” to “Ratnadweepa” during a short span of time. Geographically speaking, Sri Lanka is a very old country and it’s also a well-known fact that most the 90% of the Precambrian rocks are as old as 560-2400 million years. The famous Marco Polo stated that the best gems as Sapphires, topazes, amethysts and other gems lie nowhere but in this little Island of Sri Lanka. The 2nd century astrologer Ptolemy stated that Sri Lanka runs ahead in Sapphires and Beryls. The stunning and absolutely elegant British crown “Blue belle” holds the 400 carat Blue sapphire which is a Sri Lankan precious. The breath taking blue sapphire in the beautiful engagement ring inherited by Duchess Kate Middleton from Princess Diana is also a product of Sri Lanka. With a cradle of natural gemstones and treasures, Sri Lanka has been ranked as one of the countries with largest foreign exchange earners in Gems and jewellery industry. Today the global market names Sri Lanka for holding unique and exquisite gems used for creating fine jewellery.